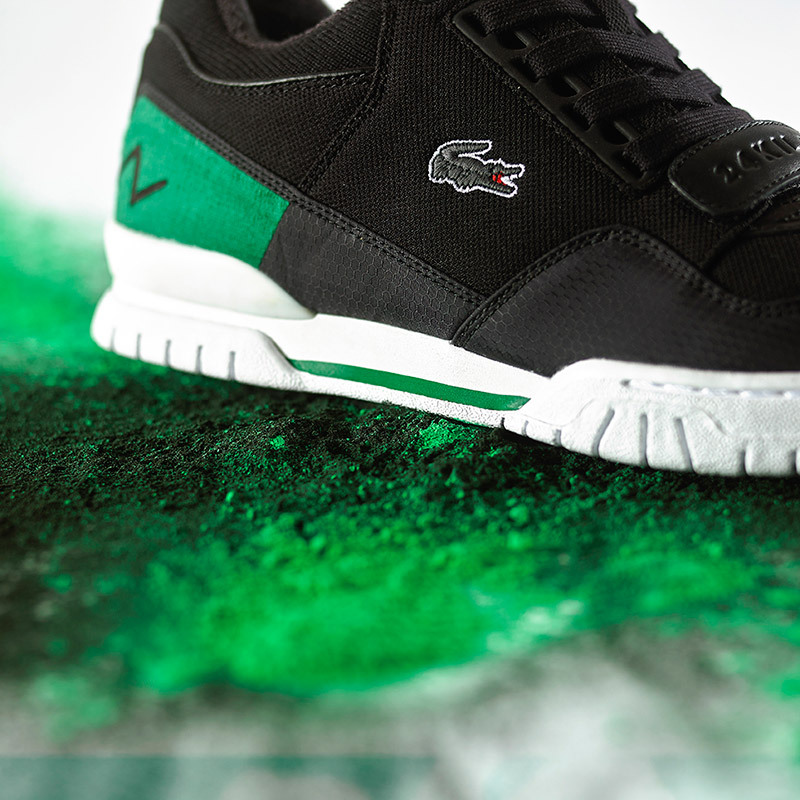 In celebration of the iconic first ever Sneaker collaboration, LACOSTE L!VE have invited the magazine and founder, Simon Wood, to curate a project on their signature Lacoste silhouette, the Missouri. Taken directly from the Lacoste archive the Missouri silhouette first landed in the range in 1989. This heritage, all-terrain court tennis shoe was given cult status after their 2006 Sneaker Freaker collaboration; through this collection LACOSTE L!VE celebrate its longstanding partnership and the enduring relevance of the Missouri silhouette. Taking advantage of the rich colours achievable with premium Nubuck leather, the Missouri is presented in a contemporary colour blocking option invoking a mellow sunrise narrative. Shades of cornflower blue and cool grey wrap the upper, while pink pops and a sheer satin lining add stylish comfort. Available in 500 pairs on November 28th. Utilising premium Nubuck leather, the Missouri is presented in a contemporary colour blocking option invoking a mellow sunset narrative. Deep navy and burnt yellow panels create a distinctive upper, while classic tonal LACOSTE branding and a soft satin lining add the final touches. Available in 50 pairs on November 21st. The ever-creative Overkill have envisaged a narrative based on a classic 1968 song “Crimson & Clover”. The upper material, a classic crocodile embossed oiled leather in contemporary mint, represents an aesthetic contrast between the old and new. 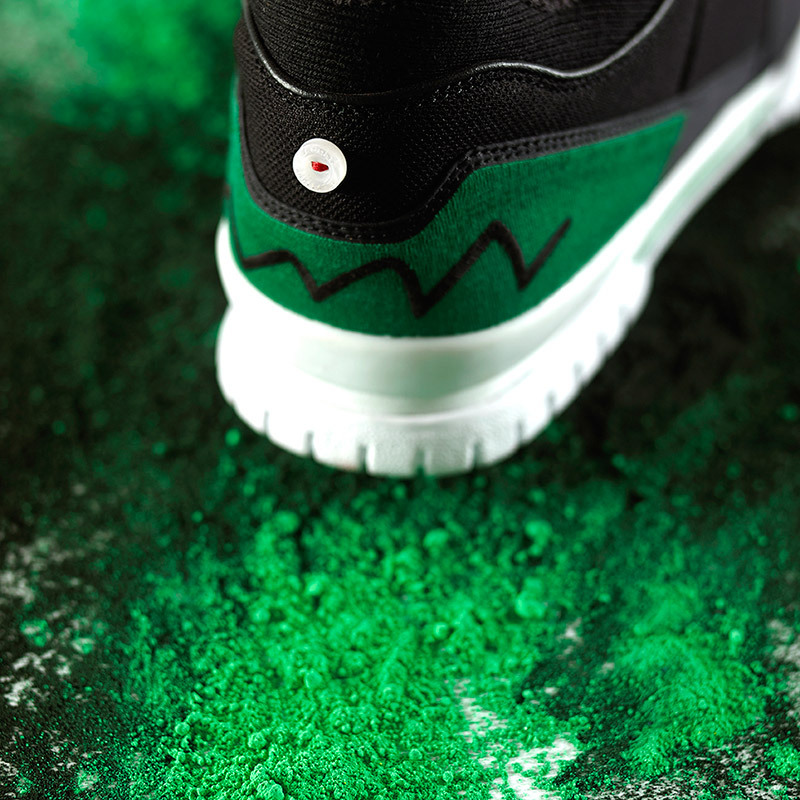 This is complimented by intricate details such as the four leaf clover embroidery, lace aglets and custom printed insocks. Leading sneaker store 24Kilates in Barcelona have taken inspiration from Lacoste iconic polo shirt. Mixing classic footwear textiles like ripstop nylon and terry cloth with piqué fabric and shirt detailing such as the custom button and oversized croc embroidery on the counter panel. Posted in HOME, menswear and tagged collection, lacoste, live, mensblogger, mensstyle, Menswear, Paris, shoeporn, shoes, sneakers. Bookmark the permalink.